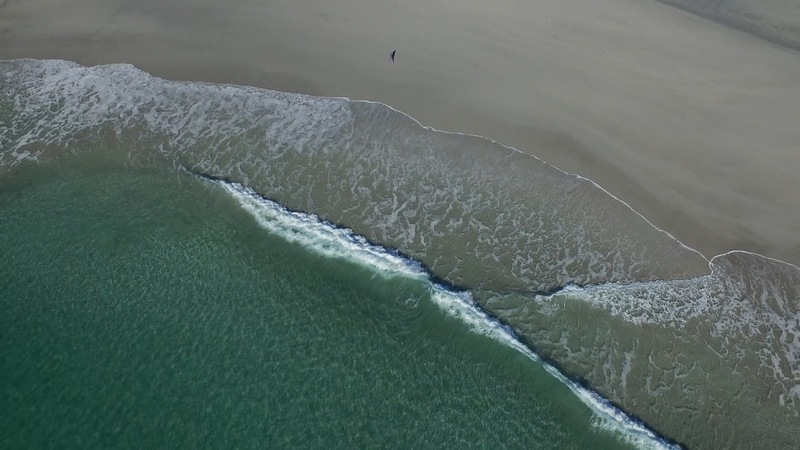 The Curtain - Solo from Dave MacLeod on Vimeo. 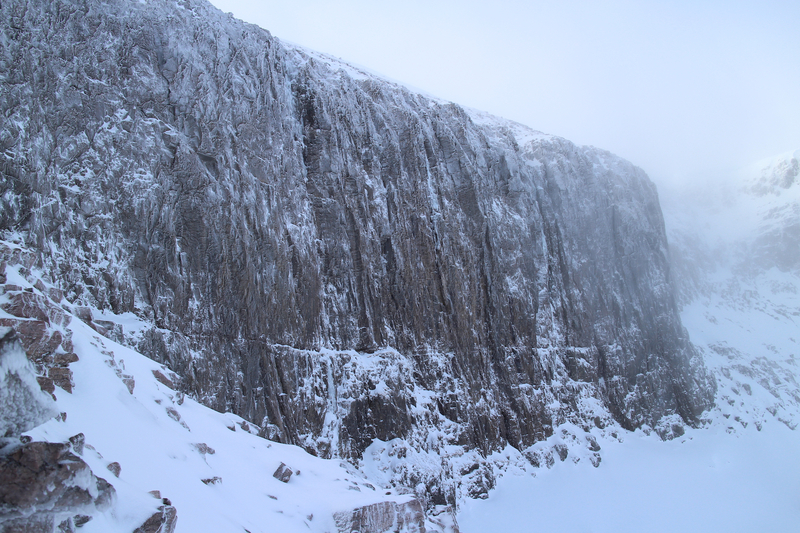 Here is a wee video shot on my GoPro of my solo of The Curtain on Ben Nevis the other week. 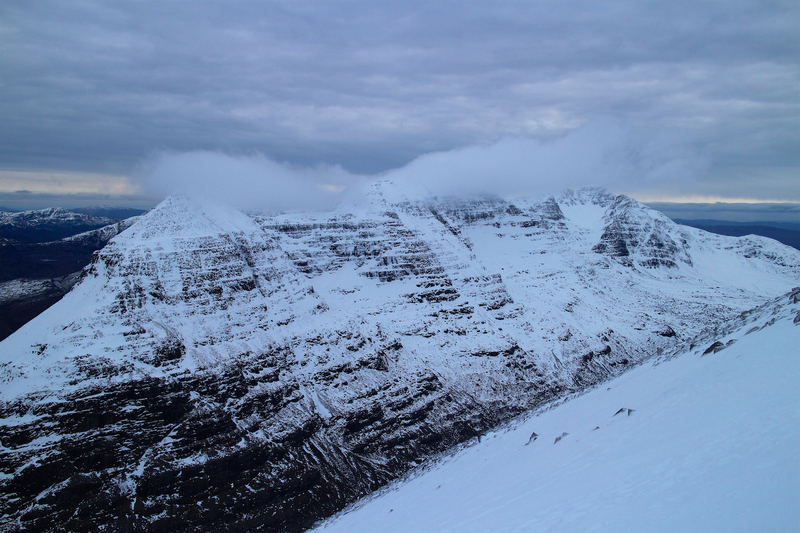 I was up in the north face to do something else but because of conditions eded up going for a wee solo. I’d never done the Curtain and wanted to solo it for ages but never got round to it. Returning home from Mull I could see the incredible spell of weather was about to break. I dived out to my project on The Cameron Stone in Glen Nevis, which I was very close to completing before I left. It was starting to rain as I got there and the top rapidly got soaked. The project is super crimpy and I’ve split my fingertips on it twice already. Basically, you only get a handful of tries at the crux match and jump before it splits. On each try, you gamble with ‘one more try’ until your finger splits and you lose two days training. The project starts up Dan Varian’s problem up the arete, completed last spring at 8A+ and repeated by me last September. 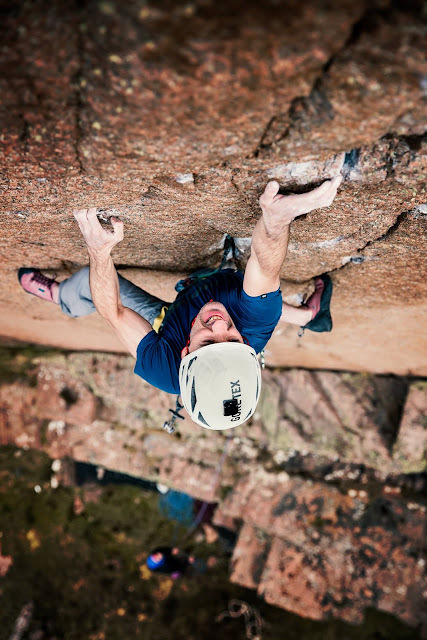 I could see there was an obvious harder link to go leftwards on the tiny crimps and jump to the good block on the neighbouring 7C+ ‘The news in Pidgin Gaelic’. I’m never too sure about the grade, especially with super crimpy lines, but if the arete is 8A+ then it’s got to be a grade harder. As usual I didn’t think I had all that much chance of success, but though I better hang my Prohpet Jacket off the baby Scot’s Pine growing out of the top-out crack, just in case I got there and needed dry(er) holds. About 4th try, I finally held the jump and braced myself for sliding off the soaking wet top-out and into the bog below. With a careful approach, the top was actually fine and I strolled off down the hill, delighted to have finished a great project in such unlikely conditions. Check out the video above. Before I go to Switzerland, I have two more boulder projects I would like to try, but going by the forecast for the next week, I might be training instead. Actually that will do me good. I feel like I’m getting a bit weak from all this outdoor climbing! A good problem to have. I was all geared up for some winter projects when the Scottish weather, as always, changed the plan. I’m certainly not complaining. The weather turned amazing for all things rock climbing. Bouldering, sport, trad - all in top condition, no rain, no midge. I tried to keep calm and not go headless chicken. 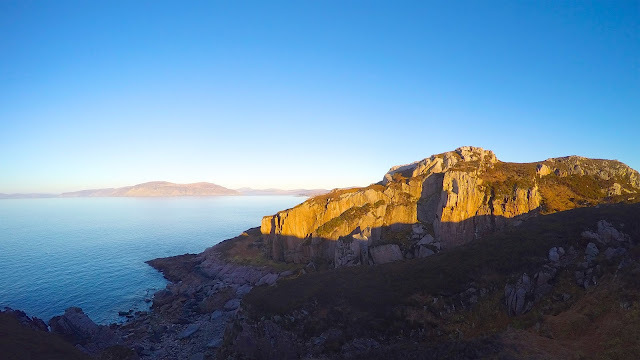 Within an evening I'd settled on a plan of heading to Mull to look at a granite crack project Michael Tweedley had told me about for years. 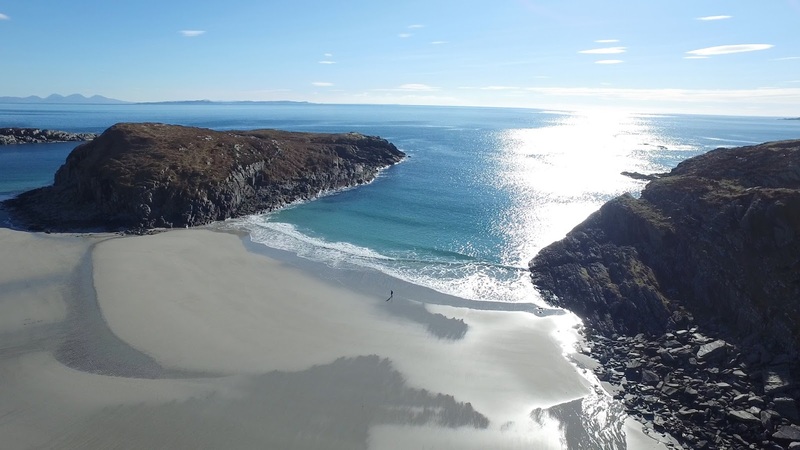 The whole coastline at Kintra has many unexplored trad and bouldering possibilities. I jumped in the car with Claire, Freida and Michael and was later joined by Chris Prescott, Natalie Berry and some more family for a right old gathering on the coast. I started trying the crack which was amazing. I’m not really a crack person, so it felt like 8a+ to me and would definitely be a good sustained fight. None of the individual moves were that hard but I could just tell the last few metres would be exciting after very sustained climbing and placing all those cams. Although I had several days in hand, I was anxious as always to get my chance to try it. The perfect week of weather had unfortunately proved not quite perfect - under the thin layer of inversion cloud, some drizzle was forecast. And one stubbornly seeping hold in the crack looked like it could scupper the whole thing unless it got sun and wind on it. On the first day Chris and Nat joined us, the hold was too wet and we explored the bouldering instead. Both Natalie and I flashed Greg Chapman’s Roughcut Reality 7C+, feeling it was a bit easier than the given grade. Next door I started looking at the project sit start Greg had mentioned on a big prow. It looked a perfect line, but surely at least 8a+. But once the beta was unlocked I got it in about 15 minutes or so. 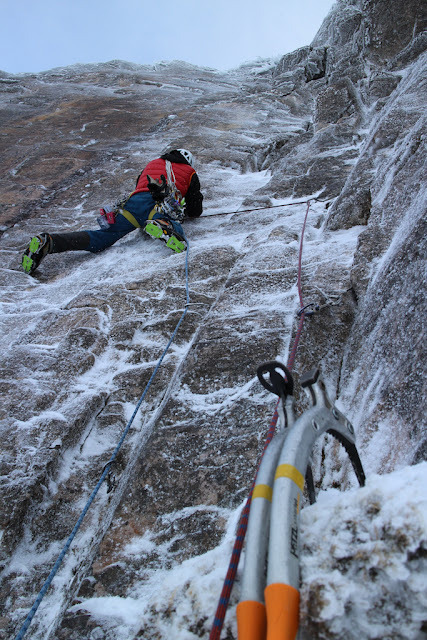 High Heidyin, 7C. A bit too good a line to be considered a salvage of the day! The next day I scrutinised the wind forecast. A burst of strong northerlies was due to reach it’s peak at 6pm. So I waited until 4 and walked out. A bit of frantic hold drying and I realised it was a great opportunity to do the project. So I tied right in and got started. It was freezing and the granite was definitely grippy. I told myself two things before starting - the cams will inevitably take that couple of seconds longer than you’d like to place and clip them, and that no matter how well it goes, I’ll need to be ready for a fight at the last five metres. I think it was good advice. I did indeed arrive at the last few metres a bit more pumped than I would like from the extra effort of arranging the cams. At the last cam, my right arm was burning. 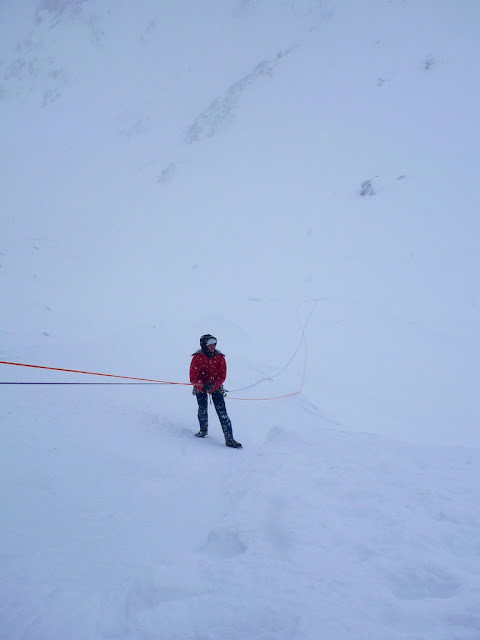 But I actually felt like I had enough strength to deal with it and was able to step up a gear and bear down on the final crimps. With a shout I leapt for the top of the crag and there was no way I was letting go. First trad route of the year, and a belter it was too. Ice Burn, E8 6c. 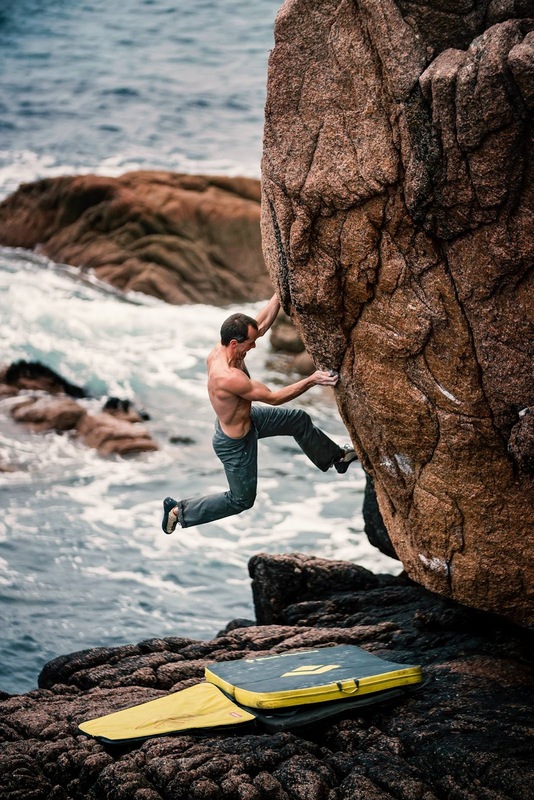 Tomorrow I have one more day to look at another hard sounding trad project before it’s back to bouldering mode. 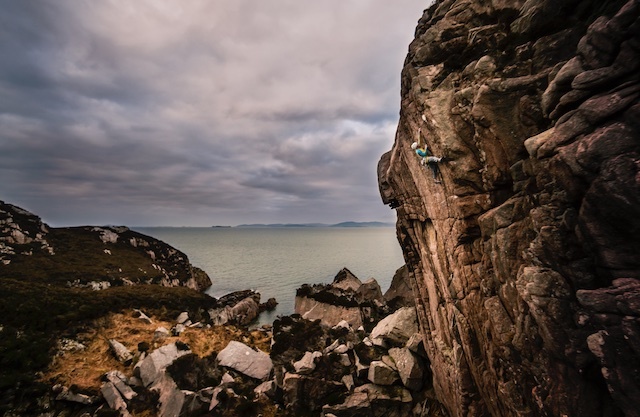 I have three Scottish bouldering projects I want to try in the next two weeks. One 8A+ and two 8Bs, and then it will be time for me to drive to CH. 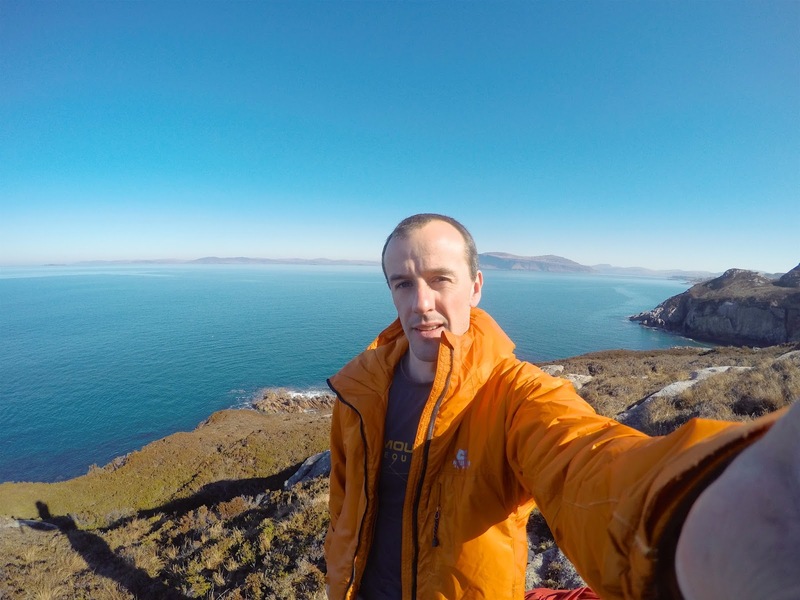 First ascent of Grasas Saturadas E6 6b on The Barriga de Cerveza, Isle of Mull last night. Photo: Chris Prescott I almost fell off because my fingers were freezing. Thanks to Michael for pointing me at this great route. Natalie Berry, recipient of the 2016 Youth Award for Excellence in Mountain Culture from Fort William Mountain Festival on Vimeo. Here is a film I made about Natalie Berry, this year’s recipient of the Scottish Youth Award for Excellence in Mountain Culture at the Fort William Mountain Festival. Special thanks to Paul Diffley at Hot Aches Productions for the additional footage from the film Transition. If you haven’t seen it, it’s a great film and you can download it from here. With the good forecast we made a snap decision that winter was over and just arrived on Mull to try a mega crack project that Michael told me about. Yesterday I had a full day on it and managed to link the moves once. But couldn’t repeat it. Feels like the top end of 8a+ without placing the cams. Tomorrow I’ll get on the lead if it’s dry and start taking some airtime no doubt! Lovely granite walls, sunshine and cool temperatures. 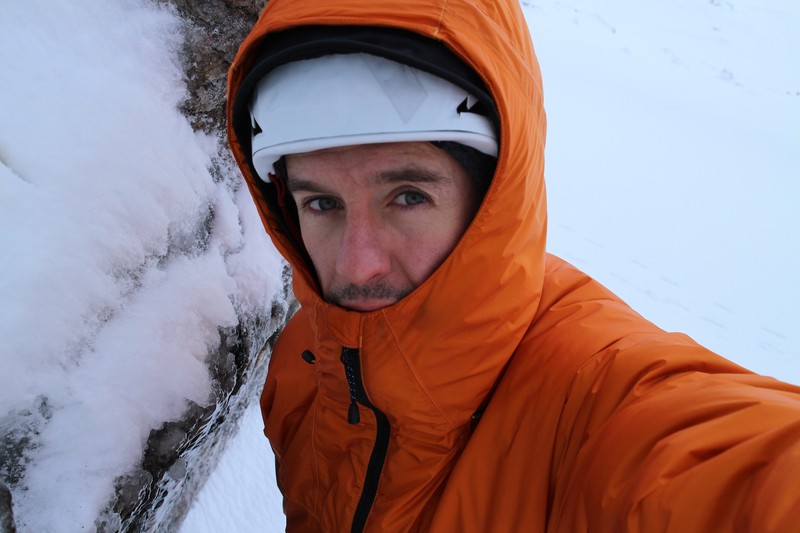 Mick Tighe, recipient of the 2016 Award for Excellence in Mountain Culture from Fort William Mountain Festival on Vimeo. Here is a wee film I made about Mick Tighe, this year’s recipient of the Scottish Award fro Excellence in Mountain Culture at the Fort William Mountain Festival. Hope you like it as much as I did making it. 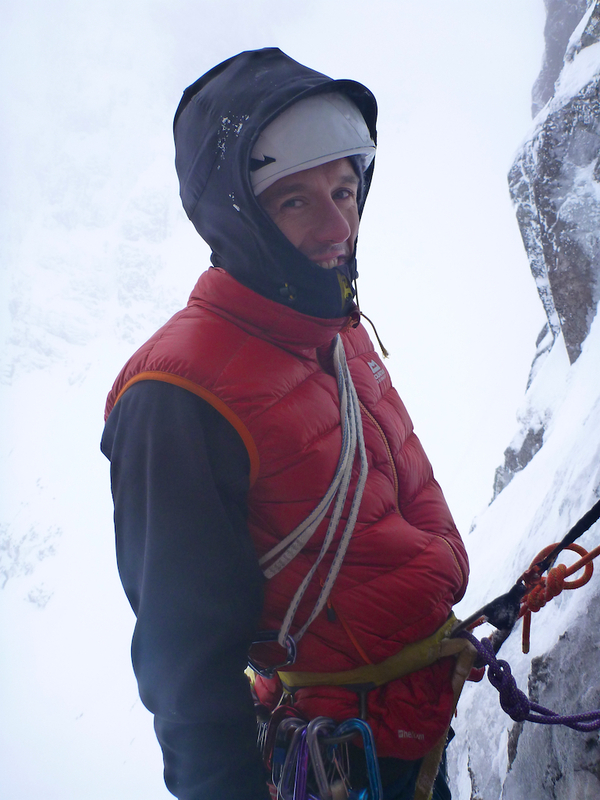 Getting ready to get extremely pumped and scared all over again on the second pitch of Night Fury IX, 9, Ben Nevis. The late winter/early spring period is an absolutely amazing time in Scotland. Everything is in great condition. I usually have to do a lot of work in the earlier part of the winter to pay the bills, but I use the time to do a lot of training as well. Ideally, when late Feb arrives and the weather turns perfect in Lochaber, I’m fit and keen. 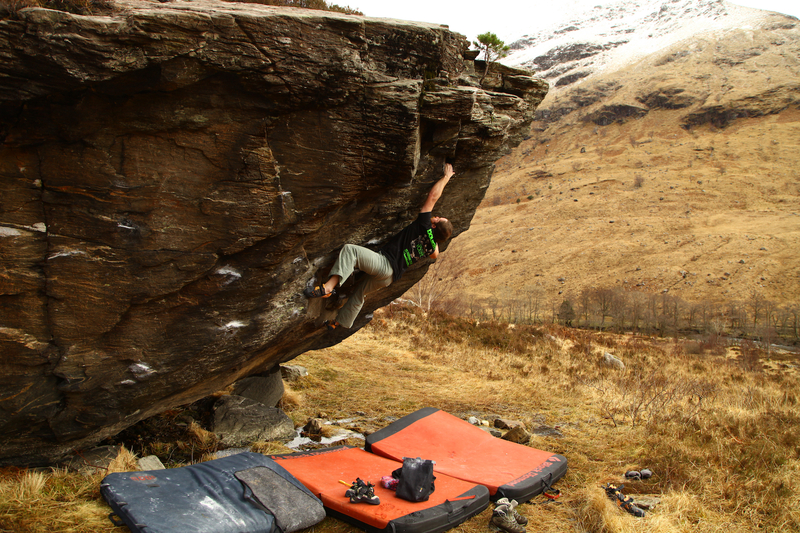 Liam Fyfe enjoying Fàilte gu clach Cameron Font 7c in Glen Nevis. It always goes past in a blur. You are either climbing, or at home in a stupor of exhaustion trying to eat, sleep and get ready for tomorrow’s adventure. The day after I was on Beinn Eighe, I showed Liam and Rhiannon the Arisaig Cave. At first I thought I was too tired to climb at all, but once I got started I decided to have a training session and repeat some of the cave’s classic problems and show Liam the beta in the process. I was fine up to about Font 7c+ but didn’t quite have the strength to repeat 4th wave. Returning there got me inspired to plan a campaign on the remaining project, the link of Eternity’s Gate into 4th Wave. This would work out at 25 moves of Font 8a+ into a hard 8B. The link would very likely be a Font 8C. It’s in condition to work and try 6 or 7 months of the year and nearly always dry. Next winter, you’ll mostly find me in there. The following morning we were at the Cameron Stone in Glen Nevis. I didn’t think anyone had ever climbed the obvious crimps coming in from the left to finish up ‘The News in Pidgin Gaelic’. If it has indeed not been done, then I call this problem ‘Failte gu clach Cameron’ Font 7c. I headed down to Glasgow afterwards to speak at TCA at a fundraising event for refugees. Good to see this kind of event being organised among climbers - we clearly need to show our governments the way when it comes to doing what we can to take care of the vulnerable. 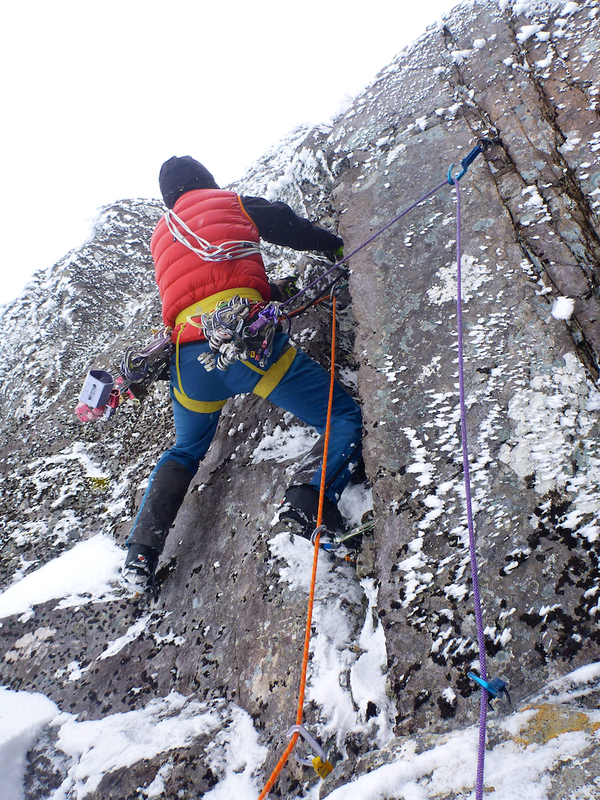 The next morning I walked into the Ben with Helen Rennard to try a new route on the walls right of Echo Wall, where we had already added a hard new route here last season. After getting through the initial hard section, I found myself at the foot of a smooth corner choked with ice. I knew it was going to be hard to protect and moved up gingerly, working hard to try and find a crucial runner. I got three psychological-only runners and continued, telling myself I would not go another move higher without finding a solid piece of protection. 6 metres higher, I was still in the same position, having ignored my own ultimatum for about 15 moves in a row. I was gripped, with legs shaking and looking at a 60 foot ground fall if a tool ripped, so I was very careful and kept a cool head. After about 25 minutes of excavating verglas, shaking and gibbering, I got a hex in and could relax again. From a hanging belay above I could see that the next pitch had a desperate looking overhang, again looking hard to protect as well as climb. 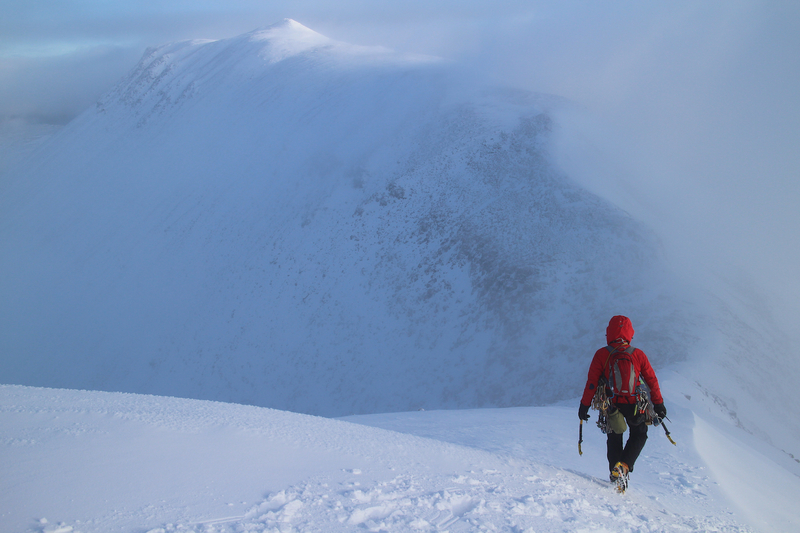 Typical Ben Nevis. I told Helen I’d go up and arrange what gear I could and then make a decision if I should commit to the overhang. The gear was mostly rubbish, but one sort of okay cam convinced me not to rig an abseil straight away. I hung in for ages, totally pumped trying to place a small ice hook. After countless attempts I finally got it to at least not fall out, but it was clearly rubbish. I was unsure what to do. A fall from over the lip would end up on the slab below the belay and it looked hard, if only for a short way. Eventually I switched my brain off and committed, arms on the last of their reserves. I am still here to write this, so I didn’t make any mistakes. To follow the dragon naming theme from our route Red Dragon just to the left, we called the route Night Fury, IX, 9. My arms were so tired, it was an effort to hold the pen and write the description in the CIC hut new routes book. 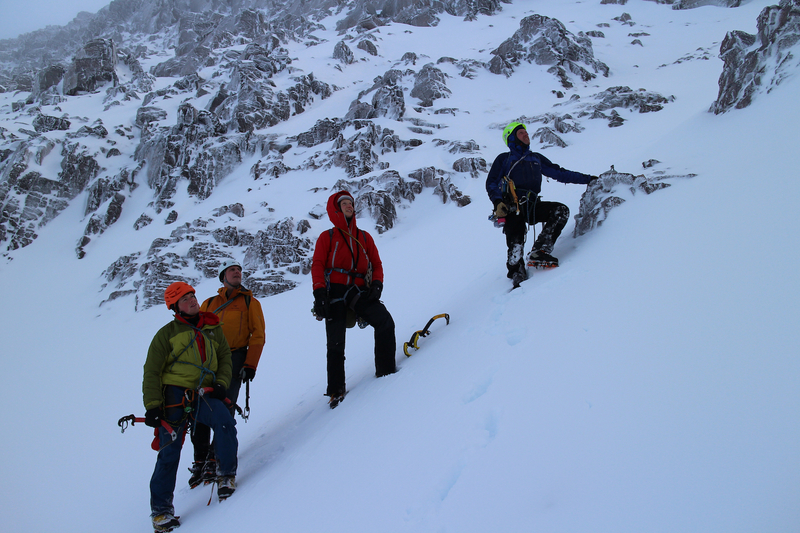 Descending back into Observatory Gully with very tired arms.